Mr. Curtis’ position is Vice President of Engineering for Eta Technologies LLC (ηTech). In this role, he works directly with customers offering all aspects of ηTech’s engineering consulting capabilities, coordinates development of new parts manufacturing and component repair/coating opportunities, and oversees ongoing parts manufacturing and repair efforts through ηTech’s established network of suppliers. 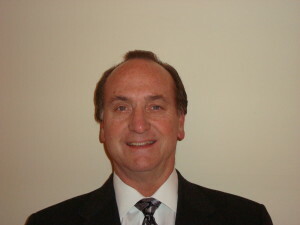 Prior to ηTech’s initiation in January of 2005, Mr. Curtis (Rich) worked at Sermatech as VP of IGT Engineering. Prior to joining Sermatech, he worked for both flight and IGT original equipment manufacturers (Pratt & Whitney, Solar Turbines) as well as several gas turbine overhaul and repair shops (Chromalloy, AAR, Preco Turbine Services). Rich has a total of 35 years of experience in the gas turbine manufacture and repair industries in various engineering and technical positions, as well as management roles in operations, engineering and sales. Rich is well known in the US and throughout the world for his gas turbine technical knowledge and experience as well as his tenacity in bringing projects to successful fruition. Rich was born in Hartford, CT, and received his BS in Chemical/Materials Engineering (double major) from the University of Connecticut in 1979. He received an MS in Metallurgy from the Rensselaer Polytechnic Institute in 1983. He has authored numerous technical papers presented at various industry conferences, and is a longstanding member of the American Society of Mechanical Engineers (ASME), the American Society for Metals (ASM), and the American Welding Society (AWS).